Take exit 51, Fowler Avenue. Travel east on Fowler approximately 3 miles. 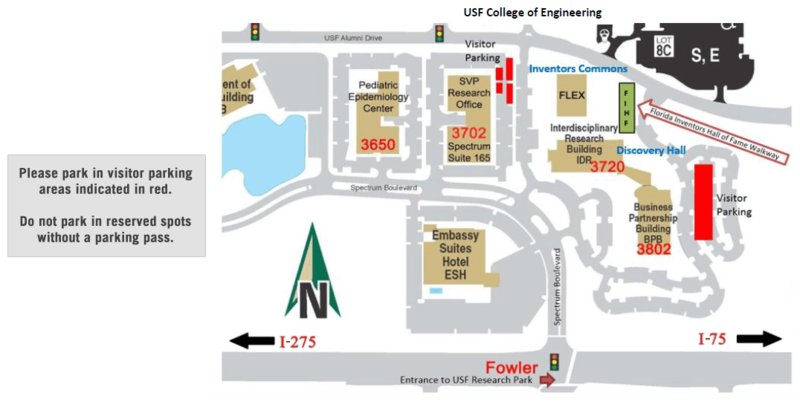 The main entrance to the USF Research Park will be on your left at Spectrum Blvd light. Take the Fowler Avenue exit. Travel west on Fowler for approximately 3.5 miles. The main entrance to USF Research Park will be on your right at Spectrum Blvd light. 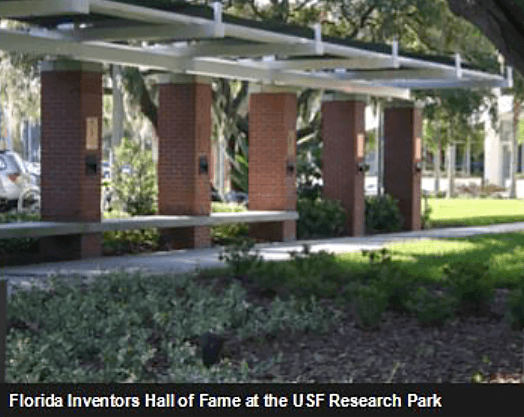 Florida Inventors Hall of Fame ©2019. All Rights Reserved. Hosted by the University of South Florida.